Interesting music... quirky graphics... and erm.. first enemy I shoot gives me a life? not much further into the stage (Cryo man) some penguins drop exploding eggs... and there is a high chance that they also drop 1 ups... yeah, the "randomizer" is screwed up... which is cool because I can have lots of lives without a care in the world! Huh never heard of this before, must of had non-existent publicity. I'll have to check it out some time. That it's been in development for so long shows with how old the software they're using to make it is, I gave up on trying to run the game after trying messing around with compatibility and running as admin for a half hour or so. Not to sound like an jerk, but you did follow the instructions listed on the page, right? Precisely, and while it did fix that joy thing issue I've been having with other games (notably the Mega Man Christmas Carol games, which I can now run fine so the thing wasn't a total washout at least) and updated my directx the game is still unplayable, it just outright crashes after being run regardless of settings. The name seems vaguely familiar to me, but I'm pretty sure I haven't heard of this thing until now. Well kudos to them for at least finishing it. I also got some nasty bug that my charged shot was "stuck"
Really? I had no problem playing it. Nice that you can play as bass and use the mega arm but why doesn't bass have the treble suit thing? And almost every stage has a part that's nearly impossible. Stupid snake thing! Ah, never mind, I thought the Treble Boost would be available from the beginning as it was in 10. Overall, I think this game is a bit too hard in some places such as saw man's stage, ghost man's miniboss, and a lot of other stuff. However, the co-op might change my opinion. I played this game when it was still in development when he released it then. The quality of this game isn't all that great compared to others. There's an obsession with cheap instant kills, which is only made extremely worse with how slow the game over screen is. The platforming moments have high learning curves but plateau soon after their introduction, which isn't very good game design. There's also an imbalance in enemy health, which causes certain enemy placements to be very amateurish. Doesn't help that Mega Man has his annoying charge shot from MMV. Mega Man's damage recoil physics is also off. I gave up after two stages. Not that it's so hard that I can't beat it, but it lacks polish to actually be fun going through. A seasoned Mega Man fan shouldn't be dying every other corner, and the optimal strategy shouldn't involve tanking hits. I beat Ghost Man's stage and after hitting a few dead ends, it felt like a chore having to go back through the enemies. Surprisingly, Ghost Man was way easier than his stage. However, I quit there. For now. The game runs for me fine, that is until a lot of flashing graphics appear on screen. 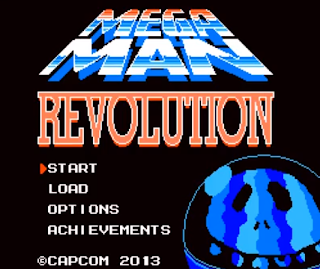 When Mega Man is at full charge, the frame rate starts to suffer. Haste Man's stage in general has a lot of slow down, ironically. It seems like a good game, but I wish I could play it without that issue. I do have my latest DirectX drivers and all that. I have plenty of computing power for this type of game as well, or at least, I should have. Others run perfectly whereas others don't, like MMxSF for example. So it must be something else. It doesn't get bad until the Wily stages. The Wily stages throw all good game design out of the window and bombard you with some really obnoxious screens that never seem to end. At that point you'll want to throw your controller out of the window. The Wily bosses are also all frustrating to distraction too, with the except of Stage 3's, which seems underdeveloped, and Wily himself is really, really, easy. 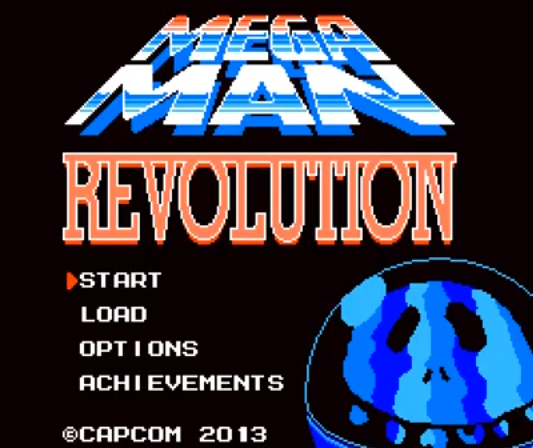 Up until then, it's about as hard as Megaman 9 was for the first time. The weapons really help once you get a few, and getting Rush Jet early helps too. They're a fantastic set of weapons. Going Haste Man early and obtaining the Shot Gun in his level will help out a lot, as it not only destroys barriers, but also acts as a secondary weakness to a lot of the roster. I think Wily Stage 3's boss is simply unfinished what with the blatantly obvious reference it is it's surprising all he does is the one attack. Wily Stage 2's Bouncing Devil was an interesting idea on paper but I feel Rosekreuzstilette Freudenstachel executed the same idea but better last year. Wily Stage 1's is just bad though no arguing with you there. The 1-up drops and numerous Tanks make this game pretty easy, surprised about difficulty complaints. Yeah many stages have some poor designs, but nothing that seeing it once or twice/busting out a weapon doesn't fix. Ghost Man's mini-boss has an odd pattern (after 2 drops), but he seems to go set distance (including turning around) and then drops in an arc. The snake mini-boss, just get caught by the tornado's in the corner, and jump out of em when you hit the ground. Really liking the weapons, especially Saw Man's and Haste Man's. Saws is a short, arcing metal blade that pierces shields. And Haste Man is a doubled run speed with full invincibility and damages foes on contact (drains fast, buy the energy reducer). Yellow Devil Mk-III is horrid, he moves from side to side arcing and bouncing along the ground, no idea how to dodge all of it. Luckily after the first 4 or 5 you can Haste Dash behind him and just stand there till he reforms. For anyone who beat the game, is this suppose to happen? I'm at the final-final boss, but it is either glitching or I'm doing something wrong. I hit him a few times, then he fades away, and I can hear shots but can't see anything. Sometimes a white circle appears behind me, pulling me towards instant kill walls. I can hold my position by running away, but can't shoot during it. What should I do? Hey guys. This is spd12, and I want to say thanks for weighing in. The general consensus from people completely fresh to this game is that it is too hard. Personally, when I tested it, my metric was that if I couldn't consistently pass it after a few tries, it was probably too hard. To this metric, there were two places in game where I indeed asked Mike to tone it down while it was in development, but now it seems like I was being too conservative about the 'too hard' label. If it's not a huge issue, I would really like for any of you reading this to register on the forums and discuss your thoughts on where things were too hard or boring. What I plan to do is put together a master list of complaints and ideas on things to change so that when Mike is ready to add in co-op and the other little touches he has planned, we might be able to do a bit of fixing here and there. That said, Mike is the one who makes the game and has the very final call, and his time may be strained in the near future (on top of all the things he had to deal with going into the last stretch). I can't make any promises, but I'll try to account for all I can in the master list. Regardless, thanks, everyone, for trying it out! Even if you didn't like it in the end, the fact you were willing to give it a go still means a lot to me, at least. Despite its foibles, I did enjoy it enough to go and help him get this across the finish line in the first place. Minor feedback for I guess since I doubt I'll have the time to register to your board, sorry about that but I'm quite busy. Regardless, I can't get the thing to run on my Windows Vista computer for the life of me and had to use a friends computer. It gives a "Multimedia Fusion Stand Alone Application has stopped working" error, I've already tried changing around with running as admin and running under various compatibility settings to no avail which seemed to be the correction given for similar problems in other games using MF2. It doesn't have anything to do with the joystick file you suggested replacing or Direct X as I've already addressed both issues. While it's a moot point to me now since I've played it elsewhere you might want to look into it and add instructions to make it work for anyone else who runs into the problem. Got the final boss to work. Changing to Direct video mode made it work (though the game becomes basically monochrome this way). Might try out Bass later. Grab a few of the weapons before writing off the game entirely. You fight a freaking real alien this time as the final boss not a hologram, also Bass ending is really funny, poor poor wily. I love it, but the save system is out of whack. You have to press the FIRE button to save the game; the JUMP button goes back to the stage select without saving (and it doesn't even ask you whenever or not you want to abort saving) Aside from the main game, everything feels like the whole "primary/secondary reverse" button crap lots of third-party titles employed on the NES and Game Boy. I thought it was a fairly good game, could have fooled me into thinking it was a Capcom creation. Kudos to the creators. Lol i beat 4 robotmasters and i can say: It's REALLY a good "fangame" !! I like how we can play with Bass without bugs or anything, it's pretty well made! Level design is cool, graphism are simple but it's not so a problem. Anyways, good job for the team who made this fangame, and thanks to them. The official site is gone... can anyone upload it somewhere so I can play it?